What is Corporate Child Care? Corporate childcare is when a company sponsors a child care program for its employees as a part of employee benefits or as a part of the company’s corporate social responsibility policy. Corporate childcare programs aim to expand the number of places available for children, expand scheduling flexibility, as well as sometimes a shared, if not completely covered childcare expense. Importantly for parents, these programs enable them to spend more time with their little ones when they are cared for near work; an invaluable benefit for parents and businesses alike. These kinds of progressive policies involving corporate childcare are becoming more and more relevant as increasingly, parents strive to have the best of both worlds; a satisfying career and a family life. One of the most challenging struggles among working parents is the lack of a work-life balance. One of the most common challenges facing employers is burnt out employees which leads to extended leave and healthcare costs. Corporate childcare is the answer to both issues. Employees with a more proportionate work-life balance are overall healthier, happier and are able to concentrate on their careers more clearly, and for longer. When the source for that balance comes from an understanding employer, it simply increases loyalty through responsible employing and a more family oriented corporate culture; a ten-fold return on any company’s investment. It even has the potential to decrease maternity leave as well as employee absenteeism, not to mention lowering recruiting and training costs since your employees will be more than happy to work for you for the long haul. Employees who can trust their child is in good hands, receiving a professional educational foundation, are simply more productive in the workplace. The benefits of corporate childcare programs from a business perspective are endless. One of the attractive by-products is the ability to recruit more of the marketplace’s top talent. Having a secure and educational environment for a parent’s child to go to that they can trust alleviates the stress that comes with having to drop the child off at a different location far from work or worse having to worry about working hours because of the instability or inflexibility of their current caretaker situation. Actions speak louder than words and when an employer displays an act that proves their commitment towards something that an employee cares deeply about, it is a natural human emotional response to want to give back and express gratitude. This kind of family-oriented corporate culture is where the magic happens. Since parents won’t have to worry about a secure environment for their children when they return to work, the likelihood that they return to work sooner is greater. This means that employers can offer better return to work rates after an employee’s parental leave. Corporate childcare programs can be such a burden lifted off a parent’s shoulders. To begin with, at the forefront of every parent’s mind and synonymous with childcare, are fees. Corporate childcare programs are a cost-effective way for parents to provide an educational environment for their children. Corporate childcare programs also empower parents to spend more time with those who matter most; their children. Particularly if the location is close to work, it makes commuting to work that much easier, and lunch time visits a realistic possibility. As a new parent, being separated from a child can be a difficult transition returning to work. Corporate childcare programs give parents the opportunity to bond with other families going through similar transitions. Often, parents are employed at the same place and share similar lifestyles, quickly developing into lifelong friendships. Why Kids Club for Corporate Child care? Your organisation will have access to a dedicated Enrolments Coordinator based in our head office to answer questions, assist with your account or address any concerns specific to your organisation’s corporate care program with Kids Club. Our centres positions are in demand and often have waitlists of up to 12 months. Your employees enjoy the advantage of being placed on a priority wait list and will receive special consideration when spaces open. Our award-winning centres are always very accessible with parking spots to drop the children in peace or very easy access to transportation. 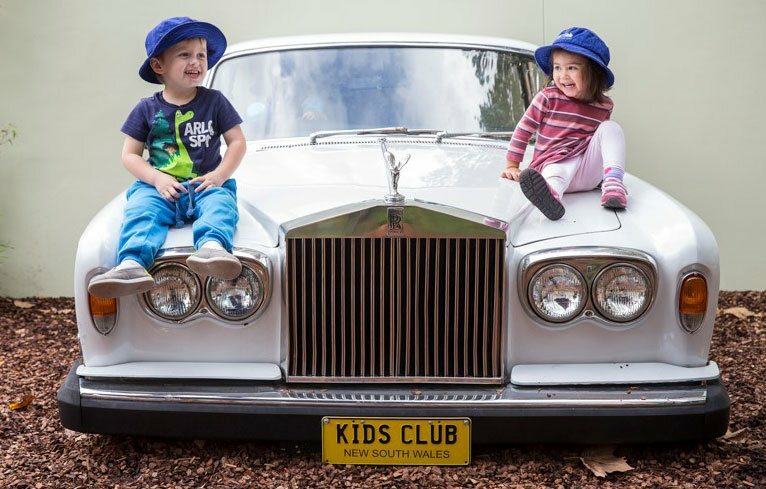 Kids Club Clarence St is located 5 minutes from Wynyard Station and Kids Club Elizabeth St, 10 minutes from Central Station. Surrounded by offices, a lot of our parents take advantage of the proximity to visit their children during the day for lunch or a quick cuddle! 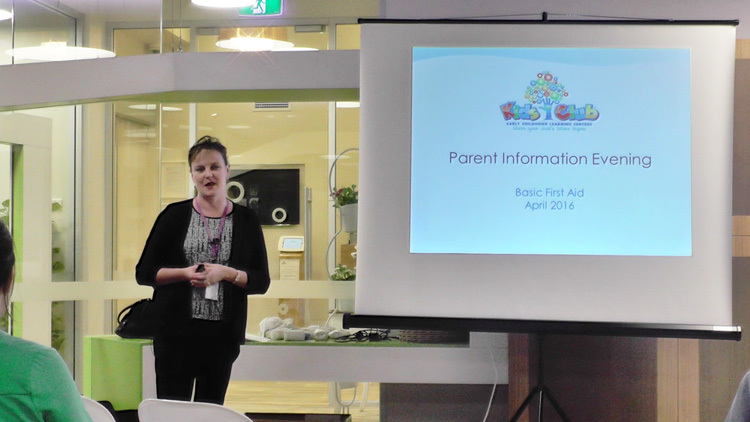 We regularly hold educational seminars and parenting workshops. All our parents receive welcome packs with everything a child needs for their day care requirements. Our Corporate Advantage parents receive a bonus welcome pack valued at $500 including books, DVDs, educational toys, vouchers and more! Our centres have been described as the most beautiful and have been recognised by Ellaslist. Ella’s list is a popular blog featuring daily advice to mums in the Sydney area. You can find the full article here on Ellaslist. We utilise only natural play equipment and our centres are architecturally designed to maximise natural and safe sunlight – vital for the development of young bodies. Kids Club truly believes the best start to your child’s future begins at Kids Club. It’s more than a fancy mission statement, it’s a mantra we’re passionate about and is immediately visible when parents step into our centres which are the only centres that have been awarded an MBA Award. Child-led learning: The idea that children learn best based on their individual personality, strengths and weaknesses. Experienced and Nurturing Carers and Educators: Our biggest asset. Healthy Nutrition: Fresh food and produce for a child’s unique dietary requirements prepared in our commercial kitchen. Stimulating and Safe Play Spaces: We believe in child development and education, not just ‘child minding’ like a lot of other providers. As well as being partners of early development with parents, we’re also partners with organisations to help instil family friendly workplace culture whilst yielding productivity benefits. Spread the word! Let your HR department know there is a Six-Star Childcare Centre at your door and enjoy the proximity of our award-winning facilities.